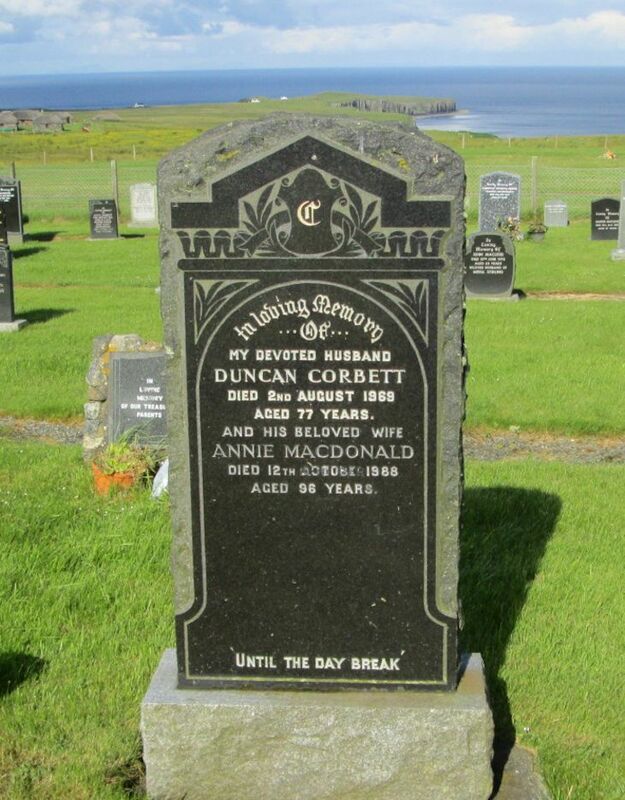 Skye Gravestones | Duncan & Annie (Macdonald) Corbett. Duncan & Annie (Macdonald) Corbett. In loving memory/of/my dear husband/DUNCAN CORBETT/died 2nd August 1969/aged 77 years/and his beloved wife/ANNIE MACDONALD/died 12th October 1988/aged 96 years.